Jägermeister requested Brand Activation at 4LittleBirds, with a focus for social media and brand awareness at parties. When entering the event and when leaving the event, Jägermeister should be top of mind. How to realize this? Nowadays everyone is aware of the hip-and-happening events. 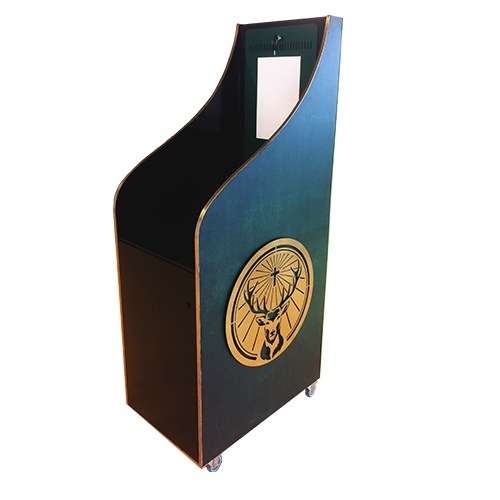 You and your friends can capture a memorable party with this Jägermeister Brand Activation Photo Booth, which automatically shares to social media, while having your ‘Jägermeister shot on-camera’. In this way, you will remember the party the next day. With the ability to play music on any location the Brand Activation Photo Booth is the place-to-be for a pop-up party.